ASX-listed tech player SkyFii (ASX:SKF) says its “advanced commercial negotiations” could add a whopping 571% to its medium-term revenue pipeline. Giving guidance to its shareholders today, it said that its pipeline of revenue from currently contracted customers being billed or in the process of setting up SkyFii’s services accounted for $7 million of forward revenue over five years. However, it said that “highly qualified sales opportunities” in advanced commercial negotiations could add a further $33 million in revenue over five years. It also told investors that $35 million of the overall potential $40 million pie came from analytics alone, suggesting plenty of revenue potential outside its core business. SKF flagged an increased focus on selling advertising and data services as potential verticals to promote, although chief executive Wayne Arthur said it was looking at “new and exciting verticals”. At the moment, SKF has penetration of 13% of malls in its key markets of Australia, Brazil, and South Africa — but it has flagged further international expansion. Elsewhere, it announced that it had converted two pilot clients to billing customers, with the Barangaroo and Top Ryde shopping centres in Sydney entering the SKF fold. SKF said its pilot to client conversion rate is currently above 90%. It also told the market that it had added a new pilot client in the Lorna Jane retail fashion brand, signing up for a 20 week trial covering SKF’s Guest Wi-Fi and data services. SKF also hinted at a partnership with a “global sports goods retailer”, but kept mum on the identity of the potential pilot client. It is due to give its quarterly cash flow report to the market this month. SKF is a data play which captures, stores, and analyses behavioural data of retail customers through Wi-Fi channels. It builds, manages, and monetises free public wi-fi which is widely available in most shopping malls by creating a content channel for advertisers and analysing customer data to assist retailers make better decisions. 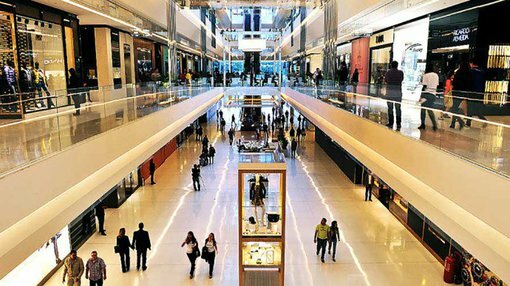 SKF previously told investors it had a potential pipeline of more than 450 retail malls lined up for the 2016 financial year.